„Remco’s journey: from hearing aid to CI“ | I'm hard of hearing, so what? „Remco’s journey: from hearing aid to CI“ – I'm hard of hearing, so what? Last Friday I already was in Utrecht (Netherlands) again for an appointment. The appointments have been followed up at a rapid pace. This time it was just for an MRI scan. Since normal communication with the patient takes place via the in-house telephone, another solution had to be found. Instead of using the intercom, the nurse would come to me and touch me, whereupon I would raise my thumb. This meant that I was alert in the scan to watch out. Two times she came and two times I came with a thumb. It gave me the opportunity to think calmly and to become completely silent. I was able to do this wonderfully well. The road I am taking is a necessary one. I hope that a number of things will improve in the future with my CI. I sometimes wonder, for example, if I will be able to hear any music at all but, according to the experts, it will be completely different. So I will also have to give up things again and music is a constant factor in my life and I like to listen to it, despite my limited hearing. In one way or another, this is already a melancholy state of affairs. For example, I’ve been a fan of Bryan Adams almost all my life and I’ve also been to concerts regularly. Listening to music will become an entirely different experience now. Again, I hear the music well at this moment and I know through the melody which song it is, but it is the actual singing, I do not get along with anymore. Still, I will miss it because music colours life and the music of Bryan Adams is very much connected to a time frame and moments I have experienced in my life. Thats the way I see my hearing impairment. I have received a lot in return, but I also had to let go of things and let go a lot. It is what it is but there is always a bit of acceptance around the corner. Releasing something self-evident. Phoning, for example. I’ven’t been able to do it for years while I used to be able to “just” do it. Now there is the Whatsapp of Facetime but sometimes it is nice to hear a voice. The joy or sorrow you can hear in a voice but also the sound of the voice itself. One of the many things I can’t do anymore. That’s how it is with hearing as well. It is becoming increasingly difficult, and that is why I will have to accept it. I think that living with a hearing impairment is above all an acceptance process. 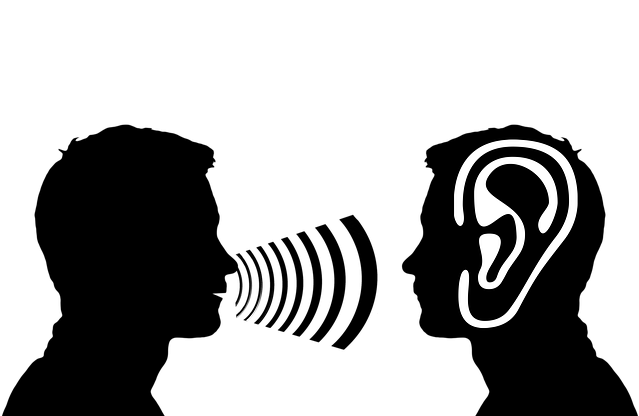 Streaking out things that have to do with your hearing.